From institutional low-pressure steam heating to industrial process critical heat transfer, Armstrong's engineered condensate pump trap packages provide the most efficient and cost-effective solution to your condensate recovery requirements. In applications where steam flow is modulated to a heat exchanger, there is constant risk of condensate back-up - leading to possible water hammer or corrosion of tube bundles and coils. With the Double Duty® Steam Trap and Pump Combo, condensate is allowed to drain from the heat exchanger under all operating conditions, eliminating the stall problem and optimizing system efficiency. These small, economical condensate units are for pumping water at temperatures up to 200°F (93°C). 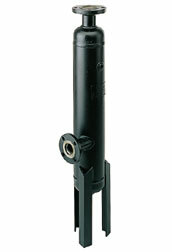 FHC pumps have standard cast iron receivers. Units are floor-mounted and designed for up to 20,000-square-foot EDR and discharge pressures up to 20 psig (1.4 bar). Units are available in either simplex or duplex configurations with 3500-RPM, single-phase motors. Pumps are typically equipped with industry-standard motors and with mechanical seals rated for temperatures up to 250°F (121°C). Seals for higher temperatures and special faces are available upon request. 4100 Series Condensate Return Pumps set new standards of performance. Reliable and efficient, each unit features heavy gauge, 3/16" steel receivers for long operating life. In addition, 3450 RPM motors assure maximum efficiency while maintaining minimum motor horsepower. Available in a wide range of sizes, these U.S. made pumps have just the right accessories and options to meet your unique needs. 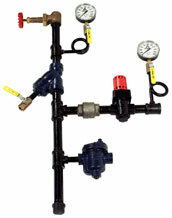 4300 Series Condensate Return Pumps set new standards of performance. Reliable and efficient, each unit features heavy gauge, 3/16" stainless steel receivers for long operating life. In addition, 3450 RPM motors assure maximum efficiency while maintaining minimum motor horsepower. Available in a wide range of sizes, these U.S. made pumps have just the right accessories and options to meet your unique needs. 4400 Series All Stainless Steel Condensate Pumps include stainless pump assembly with 5-year warranty against corrosion, stainless gauge glass assembly, stainless receiver and stainless isolation valves. 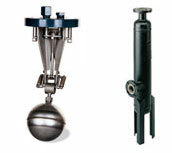 Designed for food, chemical and washdown service. 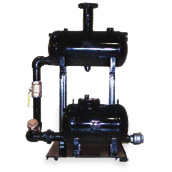 4200 Series Boiler Feed Pumps set new standards of performance. Reliable and efficient, each unit features heavy-duty cast iron receivers for long operating life. In addition, 3450 RPM motors assure maximum efficiency while maintaining minimum motor horsepower. Available in a wide range of sizes, these U.S. made pumps have just the right accessories and options to meet your unique needs. 4300 Series Boiler Feed Pumps set new standards of performance. Reliable and efficient, each unit features heavy gauge, 3/16" stainless steel receivers for long operating life. 5000 Series Boiler Feed Pumps set new standards of performance. 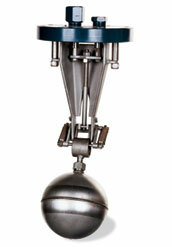 Reliable and efficient, each unit features heavy gauge, 3/16 in. steel receivers for long operating life. 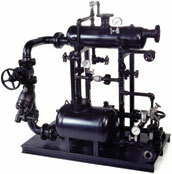 provides accurate control of motive steam pressures and helps to ensure long life of pump internals and check valves. The station eliminates potential field-installation errors and provides positive control of motive steam supply to the pump motive inlet connection. An optional accumulator assembly is available for installations where space is tight. Armstrong's AEH Series carbon steel exhaust heads should be used when there is a risk of water carryover up an atmospheric vent pipe. The internal knock-out plate and stainless steel mesh screening effectively contains water carry-over and discharges it through the bottom drain leaving dry flash steam to vent through the top of the vessel. Armstrong Offers a Stainless Steel Sump Ejector for use in draining unwanted water from steam pits, steam tunnels or enclosed spaces. 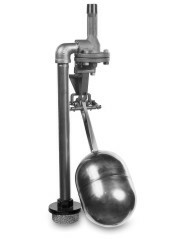 The stainless steel sump ejector uses a snap-acting Inconel X-750 spring-assisted mechanism, which engages a steam motive valve, turning the pump on or off as the float rises and falls. 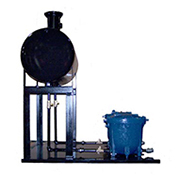 The all-stainless steel design will ensure long life in the harsh environment of a steam pit.